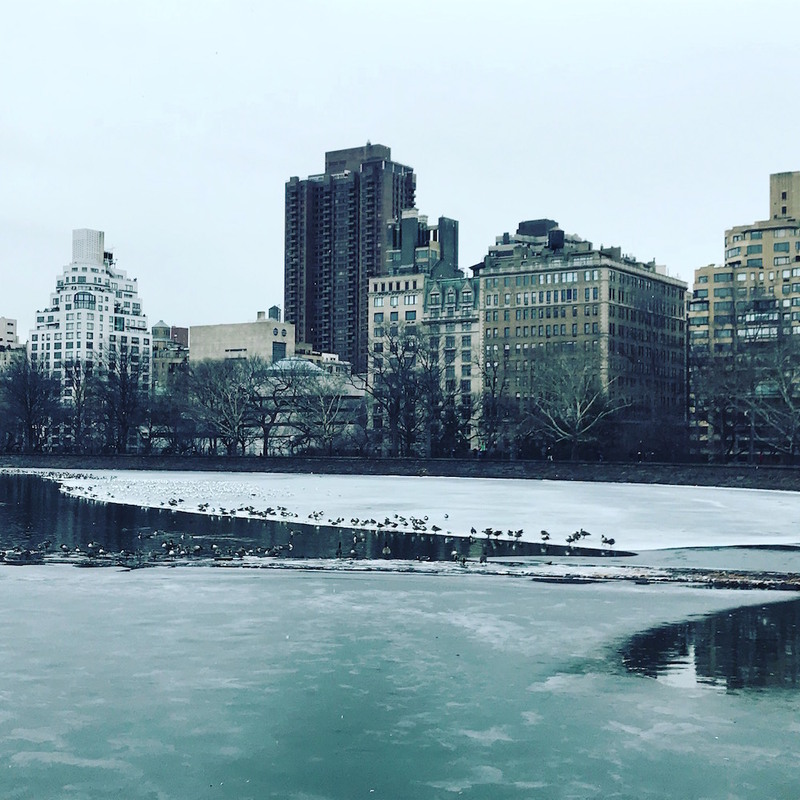 It’s back to the Big Apple for this month’s Reader Case Study for a conversation with Lauren, a psychologist in Manhattan with a love of dogs and the arts. She has questions about planning for possibly adopting a child and potentially buying a condo in NYC. With that I’ll let Lauren, this month’s case study subject, take it from here! Hi everyone! I’m Lauren, a 36-year-old psychologist living in Manhattan, never married and without any children. I attended undergraduate and graduate school in the south before moving here five years ago. I love living in New York City because it appeals to so many of my interests. I am very into the arts and am always scoping out discounted or free ways to see theater and dance performances. Dogs are also a passion and I have two of my own, plus I dog sit through Rover at times (though not as often now). 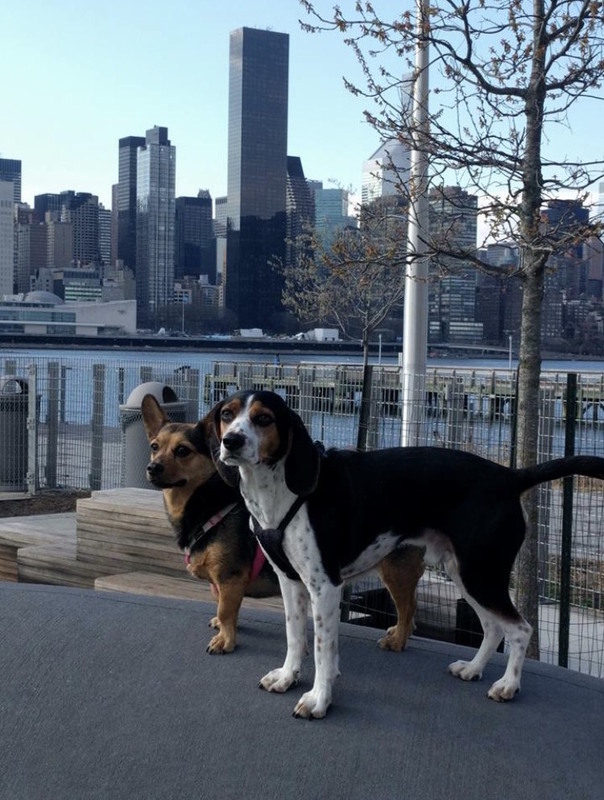 One of my favorite things to do is walk with my dogs for miles, either at nearby Central Park or roaming random streets while admiring the architecture. I have a moderately active social life and enjoy getting free books through the library. I am a pescatarian and love to learn about health and wellness. I didn’t start learning about personal finance until 7 years ago, at which time I straightened up my act after years of taking out unnecessary student loans and charging credit cards. Although the loans were for school, I know now that I could have tightened my belt and planned/saved a little better to be in a more favorable position now. But the past is the past, and I’m looking forward while appreciating the progress I’ve made. I’m now debt free and am maxing out my retirement accounts in order to catch up! I have a PhD in psychology and work full-time as a psychologist at a local state hospital and also have a part-time job based at a hospital in another state (both of these are government jobs). I do have to fly back and forth occasionally (on a heavy discount because I have a family member who works for the airline), but it gives me flexibility because I can conduct a batch of evaluations while out of town and then write the reports at home. I have looked for local opportunities for a part-time position, but haven’t found anything that pays as well and provides so much flexibility. My local commute is a breezy 15-20 minutes depending on traffic, in part because I never got rid of my now 12-year-old car. I know my car is a luxury item, but it is somewhat offset by free street parking where I live (usually easily found) and free parking at work. This saves me at least 30-40 minutes daily in commute time as taking public transportation would require transfers and waits. My biggest challenge right now is how to plan for the future when I still have so many unknowns in my life. Ideally, I would love to get married, start a family, and stay somewhere at least close to NYC. If I ever moved in with a significant other, my rent would decrease, but I can’t guarantee that will happen. If I don’t meet someone by age 39-40 or so, I would like to adopt a child by myself, which I assume will be costly (I haven’t started researching this just yet). If I stay with my current state job I will have a pension; however, while I enjoy this job, I’m only one year in and don’t know if I can count on staying for another 9 years minimum. I know city living is expensive, but it’s a dream come true for me to live here and provides so much joy that I don’t want to leave unless absolutely necessary. After my last relationship ended, I started utilizing online dating as a means to meet a potential partner. Although I’ve met some great people, so far there’s no one that I’ve meshed with well enough to believe there is long-term potential. I have considered meet-up events for vegetarians or dog lovers, but haven’t done any yet. The rest of my interest areas (ballet, musicals) don’t tend to have a high concentration of single men attending, and if they do, the setting is not typically conducive to talking and meeting new people. I am wondering if I should consider buying a condo at this point. 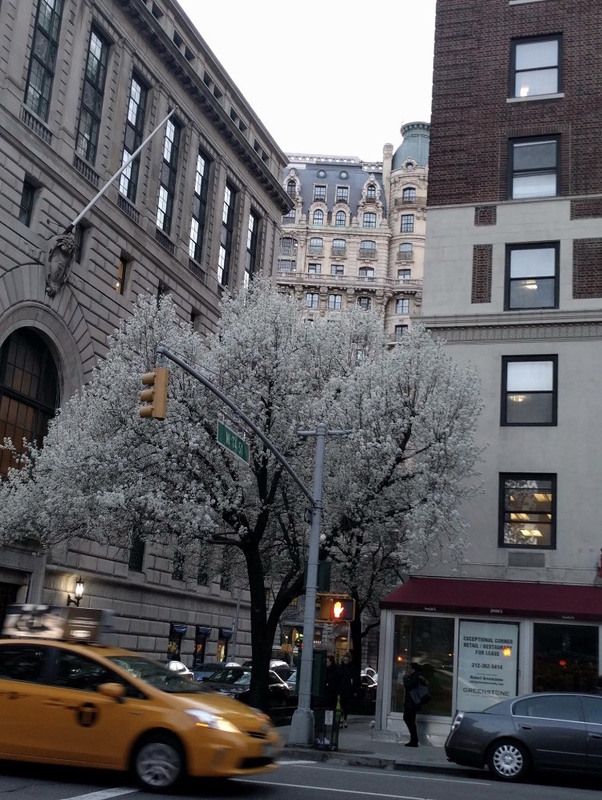 I currently live on the upper east side of Manhattan. I would love to stay around here (I think the Yorkville neighborhood specifically is more reasonable), but am also open to Queens and Brooklyn for the future if I end up buying. If I do go to Brooklyn or Queens I would prefer to still be close to Manhattan, but if I do end up adopting and buying a place on my own, I know I will most likely have to move farther out. Rent $2,050 Alcove studio in a safe area. This is below market rent. Commuting expenses to out-of-state part-time job $260 I have to commute for my part-time job. I have not found a local part-time job that pays as well. $100 of this pays a pet sitter for my two dogs while I’m gone. Shopping/clothes $149 I didn’t buy new clothes for years while paying off debt and I am slowly working on building a professional wardrobe. I don’t intend to shop much after that’s complete. Home Supplies $72 Monthly average for 2017, should be lower this year since I’m now settled into a new apartment. Hair/Cosmetics/miscellaneous $70 Monthly average. I do get my hair highlighted but use a discount student salon. Laundry $55 In building but not in unit. Local laundromats are sadly no cheaper. Part-time job Pension Fund $38,500 I contribute $400 per month. I can either cash this out when I leave this job or have a tiny pension starting at age 65. 401K for part-time job $1,780 Vanguard Lifecycle 2050 fund. I can’t contribute to this anymore because I’m part-time , but I can’t pull it out either. *My emergency fund is small, but I considered the following: 1) I have two very stable (both government) jobs and am exceedingly unlikely to lose both. If I lost either one I could live comfortably off the other one. 2) I just signed up for long-term disability insurance in case I get sick and am unable to work at all. 3) My apartment fund could be used for emergencies in worst-case scenarios if my cash fund runs out. Own an apartment either alone or with a partner. Continue maxing out/catching up for retirement. Be working toward financial independence. Ideally, I would be married and have at least one child. I plan to always have a dog. If I don’t marry, I would like to be raising a child as a single mother. Ideally I will still live in the city, but if I have a child I would like to move out of my studio apartment. I want to continue to focus on health and wellness, be active, and in good physical and mental shape. I would like to travel more. I have put this off to focus on visiting people and saving money, but I would like to experience new cultures and life outside of the U.S.
I’m okay with still working in a hospital in ten years, but I’d like to be part-time. I would like to be board-certified and explore other part-time options, such as private practice or a new hospital, and be able to spend more time with my child than a full-time job would allow. At present, my second (part-time) job provides tons of flexibility, as I only have to be on campus once per month and still earn a good income, so this is a consideration depending on how ambitious I feel at the time. Am I correct to max out my 457B and Roth IRA to try and make up for all the years I contributed nothing? What consideration should I give for my pensions, or should I plan as if they won’t exist since I could change jobs? The pension from my part-time job would pay between $4,000-$8,000/year pre-tax; the pension from my primary job would pay 1.66% for each year under 20 years. For example, if I worked there for 15 years, it would pay about $25,750 annually before taxes are taken out, or $16,500 for 10 years. How are my investments and asset allocations? Am I misguided in having a small cash emergency fund? Are there areas to reduce spending that I’ve overlooked? Should I start an adoption fund seeing as I would like to adopt by myself in 3 years if I’m not married? If I do end up married this may be a moot point, but who knows if I can actually get pregnant, in which case I would also consider adoption. Should I buy an apartment and how? I am just starting to research this, but it looks like I should budget at least $500,000 for a studio or small one bedroom in Manhattan. Should I think of getting something for myself (studio or 1 bedroom) that I can rent out if I end up married and raising a child? Or should I be more future-oriented and look for a 2 bedroom with the option to add a roommate if I need to (not ideal but I’ve done it before). This will probably be cost prohibitive, however. If anyone is familiar with buying in NYC, should I lean towards a condo or co-op? Alternately, should I continue renting and instead invest my money? I don’t mind renting per se, but I want to live in NYC for the longterm and rents keep increasing, which worries me. I like the idea of being rent-free later in life, but will the taxes and homeowners association fees negate that benefit? I must start off with a big congratulations to Lauren for paying off all of her debt and making excellent progress on her retirement accounts and investments! Lauren’s diligence in saving and investing has given her a healthy net worth and the financial security to consider what she might want to do next in life. By not living paycheck to paycheck, by saving and investing every month, Lauren has created a comfortable financial position from which to make her next move. Congrats, Lauren! Lauren has a lot of specific questions–which I love!–but I want to start with broad strokes since I think most of her questions hinge on the two big unknowns in her life: 1) finding a partner/getting married; and 2) having/adopting a child. These are two major life events and not things that are strictly financial, but that deeply impact one’s finances. I agree with Lauren that it’s tough to plan when these two elements are up in the air; however, it’s also true that by saving and investing, Lauren has put herself in an excellent position to navigate these unknowns. I am fond of saying that no one has ever regretted saving more than they needed to and that saving money is a way to make the unforeseen–but entirely predictable–events of life much easier to weather. In terms of finding a partner/potential future spouse, I preface this with the caveat that I am not a relationship or dating expert. What I will say is that it makes sense to me that Lauren start going to the meet-ups she mentioned for dog lovers and vegetarians. I’m also certain there’s a financial independence meet-up group (likely organized through the Mr. Money Mustache forum). I figure the more people Lauren meets, the more likely she is to meet someone who might become a partner. I think taking action and being proactive is probably the best route to take in this department. I am also hoping that readers will weigh in with their dating advice since I am the opposite of proficient in this area! In terms of becoming a parent, I commend Lauren for thinking about charting this territory as a single parent. If she wants to be a momma, she should do it! Adoption is another area I am no expert in, but I do know that it’s often relatively expensive and time-consuming. I think it would be wise for Lauren to start exploring her options now so that she’s aware of the outlay of money and time that’s likely to be involved. Researching adoption agencies and processes can’t hurt even if she doesn’t end up adopting. Knowing what to save and how much time to plan for is wise and will give Lauren more data on what to expect. I’m not really a fan of having segregated savings accounts for different things, but if that’s Lauren’s jam, she probably should start saving specifically for an adoption now. Either way, the more money saved up, the more options she’ll have. I also encourage Lauren to seek out other single adoptive parents in NYC to get some first-hand intel on what the process is like. I am guessing there’s probably a group (or groups) whose advice she could seek out. I’ve found that community support is of extreme importance while parenting and so working to build that network before adopting could provide Lauren with some wonderful resources, knowledge, and friendships (not to mention the potential for hand-me-down baby stuff :)! ). Lauren frequently mentions her love for living in NYC and I think it’s important to live where you want to live. 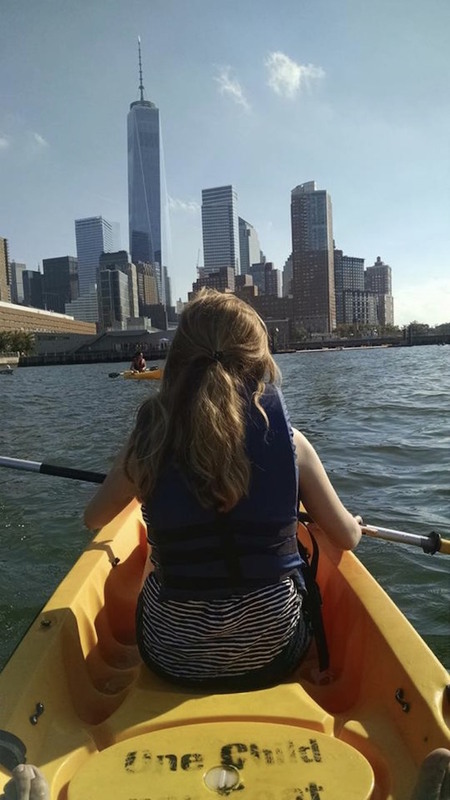 Our environment has a profound impact on our happiness, fulfillment, and stress levels and if NYC is where Lauren really wants to be, then I think she should make it happen. However, there are a few realities to consider. If Lauren becomes a single parent in NYC, I think she’ll need to increase her income. Assuming she wants to live in a larger apartment and also continue working, she will have the added costs of higher rent and also daycare. Child care is expensive and there’s often no way around it if you work full-time outside of the home. This is another variable Lauren could start researching now so that she has some real numbers to crunch. Call up daycare centers, explore nannies, and look into any cooperative daycares or nanny-share possibilities. In a place like NYC, daycare can easily run $2,000-$3,000+ per month and so is not an expense to be trifled with. Another factor is Lauren’s excellent part-time job. If she’s going to continue commuting to this job, she’ll need to explore a live-in nanny to watch her child while she travels, or look into whether or not she could take her kiddo with her on these trips. I’m also wondering if Lauren has any family in NYC? Having family members nearby could greatly alleviate some of these childcare concerns if they were willing to babysit on a regular basis. I never realized how amazing it would be to have family nearby until we had kids. The fact that we don’t have any local family is the one major downside to where we live. Something for Lauren to consider. I don’t know much about the field of psychology, but Lauren mentioned the possibility of exploring private practice and I wonder if that would pay more? 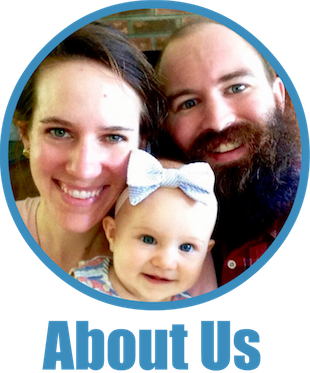 Without a kid, Lauren’s able to save and invest at a fantastic rate, but as a single parent, her income would be stretched pretty thin, especially if she needed to give up her part-time job in order to avoid traveling. I’d put this down as another point for Lauren to gather data on as she explores the possibility of single parenthood. I also didn’t get the sense that Lauren absolutely loves her current full-time job and so, if she’s willing to change jobs, and if there’s a potential for her to earn more elsewhere, now’s the time to look into that. Especially if she’s thinking of parenthood in the near future, she’ll want to make sure she’s with an employer for long enough to accrue/quality for parental leave (this varies by employer, but many have a minimum amount of time you must work before being eligible for the benefit). Of course the other end of the equation is to trim expenses, although Lauren is already pretty frugal and there’s not a ton of wiggle room in her budget to save more. If she’s going to cover the costs of a larger apartment and daycare in NYC, I surmise she’s going to need to increase her income. However, Lauren did ask if we had any savings recommendations so I will take a stroll through her finances (and of course no Case Study would be complete without it!). I think it’s also important to question if your rate of savings will help you to achieve your long-term goals. But what you spend on? That’s a very personal choice and one that you have to make for yourself. My job is to point out areas where you might be able to save, but only you can decide if that level of savings is right for you. If you’re struggling with where to save more and how to map out a longterm financial plan, I encourage you to take my free 31-day Uber Frugal Month Challenge. At $330, groceries seem a tad high for one person. This is about what Mr. FW and I spent on the two of us when we lived in the city, so I think there’s probably room to reduce this line item by a bit. Although I will say, it’s pretty low! Ideas for how to save more here. At $245, entertainment is a relatively expensive line item in Lauren’s budget. However, since I know Lauren is prioritizing meeting a future spouse, some of these expenses might be in service of that goal. Lauren mentioned that she loves going to ballets and musicals and I wonder if she has looked into the possibility of working as an usher for shows in exchange for free admission? This is a tactic that was introduced to me by Frugalwoods readers and it seems like a great way to patronize the arts for free! Plus, she’d have the opportunity to meet and socialize with the other ushers. I advise Lauren at least explore this as it could save her $2,940 per year. Lauren mentioned she plans to stop shopping for clothes, which sounds like a great idea as this’ll save her $149/month (or $1,788 per year). Once you have a wardrobe established as an adult, I find it’s often unnecessary to buy new clothes on a regular basis. Usually we can make do with what we already own–that’s what I’ve been doing for years! For more on how to stop buying clothing, check out this series. For hair/cosmetics/miscellaneous at $70 and hygiene/personal care at $25, neither of these line items are outrageous, but I wonder if there might be some opportunities for reduction? I have a number of friends in NYC who get totally free hair cuts and color from student salons. Lauren mentioned she gets a reduced rate from a student salon, but it might be worth trying to find one that offers a totally free experience. NYC readers, please chime in with your recommendations of where to go! I get the sense that Lauren’s main impetus for thinking about buying a condo is a question of whether it’s the wisest way to deploy her capital. I say this because it doesn’t seem like now is the right time in her life to buy. With the unknowns of marriage and parenthood, it seems likely her circumstances could change dramatically in the next few years. Buying a two-bedroom apartment could make sense for future-proofing, but would likely be out of her price range at this point. Since real estate is so expensive in NYC, buying a property would consume a huge portion of Lauren’s capital and would un-diversify (is that a word?) her investments. I don’t see any compelling reason for her to buy right now and would advise she continue saving and investing. She can revisit the question of whether or not to buy after she determines if/when she wants to adopt and if she wants to stay in the city with her child. Since that plan is largely predicated upon her earning more, she could then likely afford a larger apartment that would fit her family’s needs. Additionally, Mr. Frugalwoods and I found that what we valued in a home changed dramatically after we had kids, and Lauren might experience the same thing. She could always start life as a momma in her current apartment, assess her needs, and condo-hunt with the framework of what she knows will work best for her and her child. It’s tough to know what you’ll want as a parent until you are a parent. For example, Lauren might find that a studio works just fine for her and her child; alternately, she might discover that she’s dead set on a two-bedroom. By continuing to rent, she’ll give herself the opportunity to figure out what’ll be best for her future. Lauren is debt-free. Always step #1! She has a healthy emergency fund. This is imperative! An emergency fund is what serves as your buffer from debt or catastrophe. If you lose your job, have a health crises, your car breaks down, your iguana/child becomes ill, you need a new roof, a family member dies unexpectedly and you need to buy a last minute plane ticket, etc etc and so forth…. ALL of these are examples of why you want to have a healthy emergency fund. You NEVER know what’s going to happen in life and having enough money saved up to cover such unexpected–but entirely predictable–events is crucial. It makes the crises of life that much easier to cope with. Lauren mentioned that she thinks her emergency fund is small, but at $12,165, it’s actually just shy of three months worth of her living expenses. Conventional wisdom advises an emergency fund equal three to six months worth of living expenses. So while she’s on the lower end of the calculation, she’s very much in the ballpark of what’s appropriate. She could funnel a tad more in there if she’d be more comfortable with a larger buffer, but I think that’s a reasonable amount. She is saving for retirement! Hooray! She has investments through Vanguard. Remember: retirement accounts are just ONE way that you should be saving for the future. A brokerage account is the other! I’m a big fan of using either Vanguard or Fidelity (I personally have Fidelity, but either is fine) as both offer low-fee index funds, which is–in my opinion–the wisest (and easiest) way to invest. For more on investing, check out this post. I’m a little uneasy about her “apartment” brokerage account since I’m just not sure that buying a place is in her near future and that’s a large amount of her net worth ($22k) in a lower earning account. The more aggressive, and lower fee, VTSAX would likely provide a higher return on that money. However, it is true that VTSAX is a more aggressive account and shouldn’t be used for money you might want in the very near term. If Lauren plans to buy soon, it probably makes sense to leave this money where it is. However, if her buying horizon is farther out, I’d move this money into the more aggressive VTSAX with her other investments. Lauren’s biggest hurdle at this point is gaining clarity on her two big unknowns: marriage and becoming a parent. Since she has identified these as two areas in her life that are likely to change in the relatively near future, I don’t advise that she buy a home right now. With multiple unknowns–including the unknown of whether or not she’ll even stay in NYC–house buying is not advantageous. You want to buy a place when you are decently certain you’ll be in the same location for at least five years. If Lauren decides to become a single parent and wants to stay in NYC, I think she’ll need to increase her income. Between the expenses of daycare and possibly renting a larger apartment, more money will be necessary. The other option is to move somewhere with a lower cost of living; however, she might not be able to earn as much in a lower cost of living area and she loves living in NYC. I recommend she begin exploring other jobs that might pay more, especially since she might need to give up her out-of-state part-time job once she becomes a parent, unless she can devise a creative and cost-effective way of providing childcare while she travels. I encourage Lauren to start researching the costs and timelines associated with adopting a baby. I also advise she seek out support groups for single adoptive parents in NYC as I imagine they’d be able to provide a wealth of knowledge and resources. I think Lauren is doing a terrific job financially and, for the most part, my advice is to stay the course with her savings and investments until she has greater clarity on her two big unknowns. I think making any major financial decisions–such as buying a house–likely don’t make sense at this stage. But the wonderful news is that Lauren is putting herself into the financial position to be able to do what she wants with her life. Ok Frugalwoods nation, what advice would you give to Lauren? She and I will both reply to comments, so please feel free to ask any clarifying questions! P.S. I wrote a book, which published March 6th! If you’ve already read the book, I would really appreciate it if you’d consider leaving a review on Amazon! Many thanks for your support. I was overwhelmed with gratitude for all of your caring, supportive, and thoughtful replies. I made a table of all of the advice grouped by category, which helped me organize it better in my head. I am still taking steps toward meeting someone, while incorporating all the tips from readers. Someone suggested going to a specialist to assess fertility levels, so I now have a better idea of timelines and what may or may not happen naturally in the future. My savings focus now (besides maxing out retirement) is for an account that will be used to handle whichever direction things go, either a) daycare b) adoption fees c) IVF, or if none of the above, d) buying an apartment one day. Thanks to readers, I have a much better understanding of both the long-term financial implications of buying an apartment, as well as raising a child. As someone who met her partner at exactly your age, and suddenly went from being a single woman in a rented apartment to living with a partner and his two kids (we now have no. 3 as well), I completely agree with leaving the decision about buying an apartment and deciding on size and location until you actually need it and know exactly what you want. There are a lot of fees that come with buying property which you could save by buying exactly what you need when you need it. Wow, what a major (wonderful) life change! That is a really good point about the extra fees that come along that take time to recoup. Thank you. Great point about transaction fees. It would be either very fortunate or very unfortunate if Lauren ended up meeting her soul mate after closing on an apartment that’s too small (or too large or too expensive or in an inconvenient location) to meet their needs. It would eat 6%+ to sell, or they’d have to rent it out and go back to renting another place. Or what if her new partner already owned a place? Then they’d have two, and potentially two mortgages to worry about. Too many unknowns right now when it doesn’t sound like owning a place is something Lauren is even passionate about. Fear of missing out goes both ways! But the rent for the current place doesn’t sound bad and allows for a high savings rate. My cousin and his girlfriend pay $6k/month for a one bedroom near West Village. Wowza! “I am just concerned about having to pay rent without building equity” This adage is overplayed, again and again..and again. Renting gives you flexibility that homeownership reduces to almost zero. Additionally, depending on what you buy, the “equity” can be an outright lie. My wife and I purchased a home 2 years ago, its gone up ~$30k… we’ve sunk almost ~$43k in repairs and upkeep that was “missed” by our inspector. Not to mention equity is BS until you cash in on it. If the market were to tumble significantly you could end up sitting in negative equity where you have to fork over cash to sell the property. I believe that a house is something you get for long-term security and stability, aka I aint goin nowhere, life is now about cruising. Market goes up and value is up, cool im staying here, market goes down and the house loses value, cool im staying here. Where, the equity argument comes into play is investment properties. Don’t rush the home buying decision because you feel it is the social norm, do it because you love an area and want to stay there, raise your kid, expand your family, be a part of the community etc. As a 27-year-old renter I very much appreciate hearing this perspective! We’d love to buy but just don’t have the money/certainty right now. It’s hard not to feel the pressure when your rent check disappears every month and friends around you are buying homes to “build equity.” Thank you! Congrats on putting yourself in such a great position financially! I also live in Manhattan and know how expensive things can be here. One specific suggestion is to move your savings account from a Capital One savings account to a Capital One money market account. It’s still FDIC insured and pays 1.5% interest on balances over $10k. It obviously won’t make a huge difference in your financial future, but it takes 5 minutes to open and every little bit helps! Thank you for the suggestion. I looked into that before I was at 10k and meant to revisit, but I completely forgot. I appreciate it! Checking that out, too. Thanks! Now Marcus from Goldman Sachs is at 2.25%! Thanks for sharing your story with us, Lauren! I agree with you that there’s so much you need to consider right now, especially the possibility of finding a partner and getting married. I have the impression that your adoption and housing plans largely hinge on the potential of you getting married one day. No one can predict the future. We only plan for what we think is best at the moment. If you have a healthy down payment, I think getting a one bedroom and renting out the living room to offset the mortgage might be a good option. In terms of daring, I’m not sure what website you are using, but some of my friends found their partner on okcupid. Going to meet up events related to other topics can widen the scope of possibilities too. You hit the nail on the head, my plans do largely hinge on, and will vary according to whether I end up married or not. I don’t have a healthy down payment yet, so I think Ms. FW’s suggestion about moving the savings to an account with historically higher interest makes a lot of sense. I will check the website out, thank you! I live in NY (Queens) and also met my husband on OK Cupid. Almost everyone I know in NY met their spouse/significant others on that site! That said, you definitely have to weed through some creeps to get to the good ones. Good luck! I know how crazy expensive NY is, and think you’re doing an incredible job! Another success story that started on OK Cupid here! Hubby and I’ve been happily married for almost 4 years. Good luck with your search, Lauren! Wow, that is really exciting to hear! I have heard of it but didn’t know it was that popular. Thank you for the encouragement! I’m also in my thirties and work at university and for me it’s one thing if my students might come across a well curated profile on OkCupid and another altogether if they see my picture and profile snippets on Tinder without me even knowing it’s up there. I wouldn’t feel comfortable so that wasn’t a risk worth taking. I don’t want to discourage you from online dating, but you might want to check the privacy settings beforehand or consider a paid service with better privacy protections. (It’s all about spending in line with your values, isn’t it?) Good luck! I also met my husband on OkCupid, in Boston, almost 7 years ago! Obviously I haven’t been on the website in a long time and don’t know how good it is today but I would recommend checking it out, I have heard so many success stories about it. Good luck to you in the search for your future soulmate and life partner! Lauren – You’re doing a great job so far! As usual, Mrs. Frugalwoods advice is spot on so I’ll just throw in a couple of additional suggestions. First, have you ever considered fostering a child? I have a niece that fostered several children and ended up adopting some of them. At the very least, it would give you a sense of being a parent and what might or might not work if you decide to have or adopt a child. Children are a major life changing event – I have two adult sons – so more information is always better than less. Second, I don’t have any modern dating advice – I’ve been married for over 33 years 🙂 – but I will say that finding someone with similar interests and especially financial habits is really important. My wife and I have always been frugal so we’ve had very few financial disagreements. Being frugal also allowed us to retire early. Finding a frugal partner with similar values is very important, I agree. That advice goes well with Ms. FW’s to consider going to a meet up for like-minded people. Thank you for commenting! Agreed – I think many foster agencies require you to have a separate bedroom for the child. An adoption agency usually requires a home study so a studio or 1 bedroom apartment may not be possible within their parameters. I know people in NYC who live in a studio with a baby but it’s obviously very difficult. Fostering to adopt is generally cheaper than domestic or international adoption but it has it’s own challenges. Continue to do your research and look for blogs on adoption/fostering in NYC. I’m sure they’re out there with a wealth of information. Coincidentally, I am also a psychologist in NYC and did a year of training in a local foster care agency while getting my degree. There are a few rules/expectations for becoming a foster parent, but it is nowhere as stringent as the home visits that are part of the adoption-from-birth process (fortunately/unfortunately, depending on what you think that stringency implies about the care that goes into finding homes for foster kids vs. adopted ones, but I digress…). I think you would need at minimum a 1-bedroom though – I know you have to demonstrate that you have a bed for the child, but I can’t remember if you need a private space for them. Additionally, there is some financial support given to foster parents to assist with the costs of food/shelter and usually all medical care is totally covered by the agency/Medicaid, which would be a nice side benefit as it might not have as significant of an impact on your finances to foster or adopt former foster kids. Sadly a lot of people become foster parents just because of the financial piece, so you would certainly be a great foster parent in that you would be doing it because you want to take care of kids! It’s a really different process from “pure” adoption (from everything I witnessed) since the primary goal of fostering is to provide a stable, secure, and loving home while working towards reunification with their birth families (at least until that is really no longer an option for various legal reasons), but it can be a very rewarding process and special relationship. Many of my older foster kid clients had dinner with their foster parents or stayed over at their homes on a regular basis, even after being reunited with the birth families. Definitely a good idea to consider! It sounds like you did (and do) very rewarding work! Those are important points to factor in, thank you for bringing them up (: If you don’t mind me asking, what type of agency do you work for now, or are you in private practice? Hi Lauren! The fostering suggestion is an excellent option. Typically, the state allows a child to be in the same bedroom as you if under two years of age. The state also provides ALL costs associated with the child; health-care, clothing budget, food expenses, and often childcare. You also receive a small pension for caring for the child. To become certified, you have to attend several classes, prove that you have a safe environment, and a steady income. You will receive indepth childcare training, insight into caring for a child who has potentially suffered trauma (though I’m sure you’re ahead of the game already:) and access to a community of other foster parents. Obviously there are emotional risks involved. However, there are thousands of children in the U.S. who are available for adoption thru the foster care system. Out of country or private adoption can cost thousands to 10’s of thousands of dollars. If you adopt thru the foster care system it is state funded. I’m sure there is a huge need in NYC. The info I provided IS based on Virginia regulations, however I’m sure NY has similar laws. The other option to look at re:adoption expenses, is that many states have made adoption of children from within the foster care system free of charge. While you obviously would need to spend the time investment of becoming a foster parent first, the discharge of legal fees could speed up the adoption process while also allowing more money to be saved for childcare expenses. Really good points, thank you for commenting! Fostering is also free aside from the cost of raising the child. You do get a stipend to help with their care! I am a foster parent hoping to adopt one day, so I am a bit biased, but think it is a great thing to consider! My friend has been going through a foster to adopt program for the past few years, and a word of warning: because of the nature of fostering, I think it can be even more stressful than a standard adoption. Children are dropped off out of the blue, some of their circumstances are heartbreaking, and you have no idea how long they’ll stay. Particularly as a (potentially) single parent, Lauren might want to consider a standard adoption, even if it’s more expensive, just because of the additional structure it provides. And for what it’s worth, here in Washington State, the costs associated with a foster-to-adopt program cost my friend about $8,000, whereas a standard adoption can cost up to $35,000. So I’d definitely start saving. Good luck! Kids can be expensive no matter how you get one, so having a healthy savings account can only benefit you both in the long run! Thank you for sharing your story Lauren. I am 36 as well, and can certainly relate to the desire to have kids or adopt. I personally have some issues that may affect my fertility, and one option that we have started to discuss is potentially fostering a child with the intention of adopting. I have friends that have done it and can say that it has been a truly rewarding and life changing experience for them. There are many, many children in the foster system currently and each one of them deserves a loving forever home. Seeing how you are thinking of getting a larger apartment and would like to stay in the city, this may be an option to look into. Lauren, you are doing amazingly well! May I suggest that you beef up your emergency fund by taking, say, $5,000 out of your apartment fund and transferring it to the emergency fund. Since you aren’t quite sure about buying at this point, I would not worry too much about the apartment fund at ths point. In fact, I think the “apartment fund” could actually serve more as a “household emergency” fund — God forbid your building goes co-op and you have to move. I’m going to assume that you have renter’s insurance, and you might wish to consider making sure your policy will cover the replacement value of the contents. It will be more expensive, but not by much, and it will save you the agony my sister went through when there was a fire in her apartment complex. All her stuff was smoke damaged and had to be dumped (Most of it was crap, to be fair, but still.). So to make a long story short, beef up the emergency fund, keep contributing to your pension plans, and don’t be in a big hurry to buy an apartment or adopt a child. Some things take time and here are two examples. Occasionally when things aren’t moving as quickly as we would like, it’s God/the Universe/Nature telling us to breathe deeply and watchfully wait for the right time. Bright blessings! Any child you adopt will get a damn good mother! It’s hard sometimes when life doesn’t unfold on the timeline we would like it to, but it helps to remember everyone’s path is unique. Thank you for the good advice, encouragement, and kind words! Great job so far Lauren! I agree with leaving the decision about buying a place until you have to. For now I would just enjoy your low rent studio and invest the savings. Once you meet Mr. Right and/or have a child, you may still want to live there for a while to see what works best for you. If you buy now and you want to move later, you will have additional fees with the purchase and the sale (unless you want to become a landlord). I did the online dating and hated it but noticed there were a lot of activities out there designed for singles to meet up (hiking, theater), you should see if there is such a thing in your area. Yes sometimes that’s true. We love our townhouse now but when we have kids or foster kids, we will want a yard and more privacy. The online dating thing is going to be a hit or miss. Technically it works, OkCupid has it down to a science with the 100 questions they want you to answer. But it feels a bit engineered (when I tried it a long time ago). You can’t put a survey question on chemistry. Very valid points. Thank you!! I don’t know about New York but in many states, it is much less expensive to adopt a child from the foster system. I’d say that continuing to max out retirement accounts is a must. As a high earner, a deductible/traditional plan is preferable to a Roth option. I purchased a home too young in life without really knowing my housing needs. If I was you. I’d wait until I’m more settled either with a spouse or with an adopted baby before locking in housing. The negative to buying is reduced flexibility. When your future is so up in the air sticking with the below market rent seems like the right call. I know the Choose FI NYC Facebook group has an occasional meetup. You may want to check that out. There are also a number of FI related getaway’s like Camp FI that could be a great way to meet a like minded person. I will check out that group right now. Thank you! I would highly suggest that you look into the NACA mortgage program. My partner and I recently bought a home in the Cypress Hills neighborhood in Brooklyn using this program. NACA pays all your closing costs, there is NO downpayment required and no PMI. It sounds too good to be true, but it worked for us and we now own a 2 family home with a mortgage of around and 2,000/month and rental income that covers the mortgage. We were very aware that buying is not always better than renting, but with NACA it absolutely gave us a huge leg up finacially. Good luck. Hey Lauren, congratulations on getting your financial affairs together! Since you are already traveling a lot for work, would you consider dating in the “other” location? NYC is not the easiest place to find a partner and you could double your options. Having a great potential relationship might change your feelings about whether it HAS to be NYC or nothing as you decide where and how to settle down. You never know, the partner might want to live in NYC! As you consider parenthood, I encourage you to go ahead and travel a bit to some of the places you’ve dreamed of visiting. Once you had kids there would be additional considerations that might make it more complicated to fulfill this dream. Finally, and this is just a hunch, home prices are so high in NYC that I almost feel it couldn’t hurt to wait until you know what you need in the way of living space. Everyone is different, but I would seriously consider having a separate bedroom for your kid. You’ll need a buffer zone and, as they grow, so will they. I know some custody arrangements require that a kid have a separate bedroom; it might be worth looking into whether this would be an issue with adoption/fostering. Hope this helps. Good luck! I think that’s a great idea about dating in the “other” location! I live in NYC too, and dating can be tough here. Lauren might also consider trying to meet people in the wider metro – NJ, CT – especially since she has a car. Lots of arts organizations out there too. I have been open to the idea of NJ or somewhere else close by, although haven’t actually looked there yet. My other job is located somewhere that I used to live, a very small military town where most (not all) people are married by late 20’s at least. It is also pretty far away and I”m only there once a month, so it might be difficult. But, you make a great point about looking outside of NYC in general. I think knowing what I might need in terms of living space makes a lot of sense, and is something I’m really leaning toward. Thank you! First off, your dogs are so cute! I want to snuggle them. Speaking of your career, I work for the gov in insurance. Our psych doctors make 150k-350k a year. They also have the perks and flexibility of a gov job. I think you have major potential to make bank, and you can even make a ton staying in the gov sector. I think you should stay in NYC if it fits your future needs. It has a lot of opportunities, but those come with a steep price tag. With a field like yours, you are lucky that you don’t have to be too picky about where you live. 🙂 But NYC is awesome, and if you’re happy, definitely stay! Your investments and savings are great for someone who just started getting serious about finances, and like Mrs. FW said, you’re setting yourself up with a lot of opportunities by being smart with money now! Can you point me in the direction of some of these jobs?! I’m also a psychologist and this sounds great. 🙂 Do you mean psychiatrists or PhDs? Thank you Steph! I was wondering the same as Caitie, is that for psychiatrists or psychologists? I haven’t seen any psychologists making quite that much, so if there is that opportunity I would love to know more about it. Thank you for taking the time to comment! Great job Lauren! It sounds like you’ve found a way to live pretty frugally in an expensive city. I won’t tackle all your questions, but will say that I do think you should start saving for an adoption. Putting money aside each month earmarked for a kid will be good practice for when you actually do have one and will need to start paying for childcare and other expenses. Plus that baby fund can still be used as a baby fund even if you meet someone and have a baby with them (or it could be turned into a wedding/honeymoon fund). You’re doing great, good luck. I think that is a good idea. I would need to get used to spending a portion of income on a child anyways, so it’s a good time to start. Thank you! Hi, Lauren! Thanks for sharing your finances with us! I always learn so much by seeing what other people are doing with their money. As far as adoption expenses, I don’t have any personal experience or research, but I was talking to a friend the other day that said if you pursue local adoption through the state, oftentimes the state pays for most of the costs. This is true in Oklahoma where we live, but she said it’s true of a lot of other states too. There are plenty of local babies that need a good home, so that sounds like a win-win. Right now they’re fostering, and she said that the best thing they did was to work through an agency, which is free in our city. She said this has been amazing because often adoptive/foster parents don’t have an advocate for themselves, so the agency sort of works as their advocate. She said they also provide free counseling, support groups, and training, which has been immensely helpful. With NYC being much bigger than Oklahoma City, OK, I’m sure there are similar/better options. Wishing you well in your journey! Soooo helpful, I will definitely look into this. I appreciate it! I am a Single Mom By Choic e(SMC) and I know there is an active SMC group in NYC that would be worth looking into. I gave birth to one of my children and adopted the other from guatemala. Adoption can vary greatly in price – International and domestic private adoptions can be 30-50K (althought there is a one time credit of 5K that helps a small bit). I assume that adopting from foster care system would be significantly less . If you do think you want to adopt, I would begin putting the cost of daycare for NYC right now (2-3K per month) into an adoption account. Thisis what I did when I decided to be an SMC with the idea that if you can’t handle saving that much per month, then you really can deal with day care costs!. Simgle motherhood is very hard but great! My college roomate has lived in NYC since graduate school in the 80’s. For her, it never made sense to buy becasue her rent was reasonable (below market rate as yours is) and she also realized that condo/co-op fees, which can be quite substntial (thousands per month), would offset any financial advantage of buying. She never had kids, has primarily been self employed, and did eventually (in her early 50’s) decide to invest in an “upstate” home that she uses extensively on weekends and other times, especially as she begins to work less in her late 50’s. Hi Monica, I’m a SMC too though have never heard that term before. I’m going to see if I can find some groups. I find it’s a bit of a weird place to be as you don’t fit into a conventional single lifestyle and people in more traditional family structures are always sure what to do with us. Rosemary, there are multiple private Facebook groups, if you are on Facebook, and I’ve found those to be an interesting way to learn more about other SMCs and to connect with people having experiences similar to mine. As for Lauren: There are many ways to become a SMC and they have different financial implications (via a donor, foster to adopt, adopt, adopt locally vs. internationally). For me, having children via donor (although not inexpensive, and with a lot of upfront unknowns) was the least expensive option — although, of course, many other factors went into making that decision and I was lucky to get pregnant quickly, twice. Another Single Mother by Choice (SMC) here. Former New Yorker, living in Boston area now. Lauren – If you want to have a child, by whatever means (genetic, donor egg, traditional adoption, foster to adopt), I too advise you to check out the local SMC group (they typically have a “thinking about options” subgroup) as well as pay to have one year’s access to the national online forum, as it’s full of info as a good, if somewhat overwhelming, first resource you can browse all you want while at home in your pjs. (I did this when I first started exploring my options at age 39, eventually having my child at age 42 only thanks to extremely expensive medical intervention and technology.) Note that for most women there is a dramatic decline in fertility after age 37ish, so as a first step in the near future you may want to make an appointment with a “reproductive endocrinologist” to have some baseline fertility tests done to get a better sense of the timing of your options. I don’t want to sound alarmist, but statistically (and based on my personal experiences, which nearly broke my will and my heart) time is not on your side. Your having and carrying a child using your own eggs (via IUI, if possible – at under $2k per try when I did it several years ago – or if not via IVF, at a good $10k per try a few years) is typically cheaper than domestic or international adoption ($40k+ when I looked into it several years ago) or having to use both an egg and a sperm donor (also $40k+). I didn’t look into fostering to adopt, so can’t comment on it, but others have in their comments. Thank you for all of that information. I will definitely look into that group. And daycare is something I need to start considering sooner rather than later. Great job on all of your saving and hard work! My one suggestion or thought to plant is that “market rate” in NYC is a crazy term that I’ve found doesn’t mean that much. My husband and I pay $50 more a month than you to live in a big 2 bedroom in a safe neighborhood in Manhattan. Prior to that, we paid $1700 for a big 1 bedroom. I know you love your neighborhood (which is significant), and it might mess a little with your driving to work life so that’s something to consider, but if you’re willing to ponder moving, you could shave a ton of monthly cost off. I recommend Street Easy, Trulia, and Rent Hop to start a search if you’re interested. Wow, those are great deals! Do you mind sharing which neighborhoods I should look in? I am open to moving if I could save some more money by doing so. Thank you for commenting! Sure, right now we are in Washington Heights. Moved from further south in Harlem, more Hamilton Heights. But we also looked at Inwood and a few other Upper Manhattan neighborhoods with similar pricing. We have always felt totally safe in our neighborhoods; there are a ton of families around everywhere. There are definitely great deals to be had! Anecdotally, you’re in the best pricing position if you’re able to move in the “off season,” or basically October-April ish. Good luck! Thank you so much. My lease does end Sept. 30, which is part of the reason I got a lower price. Those are definitely neighborhoods to consider, especially if I need a bigger apartment. Lauren, thank you for sharing your story! You sound like you’re doing great. I am also 36 and, while I’m childfree by choice, I know lots of people who have gone through infertility/adoption/etc, often spending $30k and up. Maybe this is taboo, but…have you considered having a biological child, via sperm donation? I totally get that it’s not for everyone, but since this is a financial website…I believe it can end up being much cheaper than adoption and all the associated fees, though of course it depends on your health insurance and how the whole childbearing process goes for you, which can’t be predicted with certainty. Hi Amy, I don’t think it’s taboo at all. It is something I thought about and have tentatively ruled out, but I think it is a wonderful option for people to have. That vacation sounds wonderful! Let me know if you need any help with the cheapest ways to see shows, I’m a walking encyclopedia! Lauren, you are doing so well! To be debt-free, well-educated, and living in NYC is an incredible feat. One of my best financial decisions was buying a condo six years ago. I was single at the time and it was a financial crunch but I’m so glad I did it. Housing has shot up here in Toronto and now I have a good chunk of equity in my name. 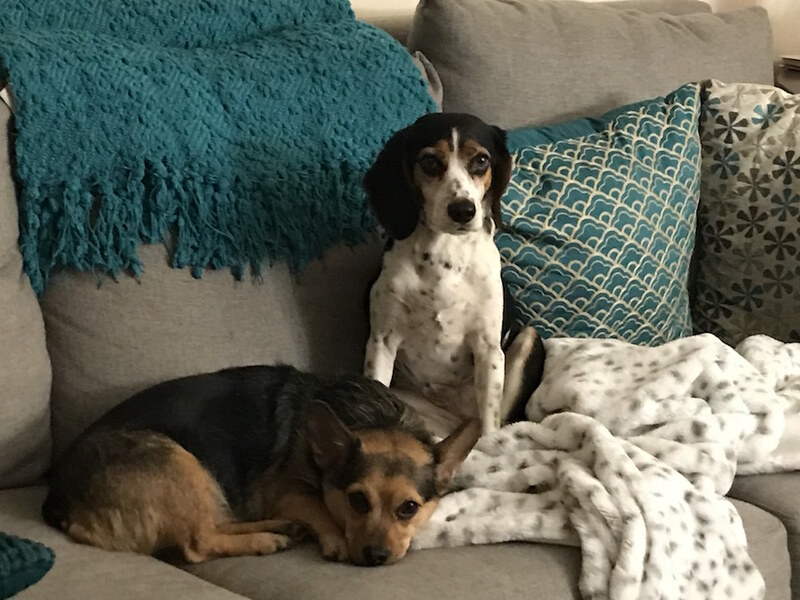 I recently moved in with my boyfriend (we met through our dogs!) into his house and I rent out my condo. The real estate market here in Toronto has gone up so much that the rent covers my mortgage, condo fees, taxes and gives me a profit every month. If you can afford to buy real estate in a city like NYC, I say go for it. I echo the earlier comments about fostering and looking into adoption from a children’s aid society. Here in Toronto, the societies have long lists of kids ranging from babies to teens who need loving homes. My boyfriend was adopted from a CAS when he was a newborn. With regard to meeting nice single guys as well as friends in general in a big city, for me, the best ways have been walking the dog/dog park and also salsa dancing. Congrats on the condo, that sounds like it turned out awesome! Spending more time at the dog park is a great idea, as well. Thank you! 1. Definitely start researching and saving now. Your house fund should probably become your adoption fund. 2. Decide whether you want to do domestic adoption or international. Both are hard in different ways. Domestic is kind of like the Wild West: each state has different laws and different availability of children. None of the states communicate with each other to place children. There are myriad numbers of non profits, private agencies and brokers in this space. Many do great work, some are shady. International seems easier because once you are approved by a country you get in line and wait your turn. But then you must travel to that country and each one has different rules about how many trips, how long you wait to bring your child home, etc… many times while you are waiting, your child is falling behind developmentally so you must be prepared to play catch up later. 3. Decide if you are open to adopting an older child or if an infant is what you are most comfortable with. Many times in international adoption the infant will be a toddler before you are able to bring him or her home. Domestically, there are shamefully high numbers of children in foster care waiting for a home. You must assume that they have been abused in every possible way, even if it’s not in their file. Not everyone is called to this type of adoption. But if you are, how wonderful 😊. Being chosen by birth parents for an infant adoption is not a sure thing. They can legally change their minds in most states after the birth. You must be prepared for this to happen. Also for truth telling to be rare. I’m sure your profession will have adequately prepared to understand the life situations that predicate a lot of lying, both to themselves and to you during this process. 4. Everyone’s experience is different. But for the sake of some kind of numbers to wrap your head around: our adoption in a large southern state cost around $45,000 and took over 3 years. We had a few disappointments during that time and a few delays because of extended family illness. We now have an amazing, joyful toddler whom we have had since birth. And a great open relationship with the birth mother, who has never lied to us. She is the only one. The process sucked but it was definitely worth it! Also, if you are still stuck on the idea of purchasing a home, look at financialsamurai.com. Sam has a lot of articles on real estate and specific analysis of high cost of living areas and when the top of the bubble is in those areas. If you do purchase, you might as well try to do it at the bottom of a cycle and not the top. You could also read millennial revolution. They have a very specific point of view that buying real estate, especially in HCOL areas is a wealth killer. It’s an interesting point of view and definitely worth considering. Congrats on achieving so much already! I wanted to raise a few factors regarding the adoption issue- I don’t have experience with it myself personally, but I have several friends who have adopted. Adoption can take a LONG time, especially if you are set on an infant. I strongly recommend doing research on this now, so that you get the sense of what the journey could look like. There are many factors that can affect the timeline: international or domestic, infant or toddler or older child, whether you would consider adopting a child from a different ethnicity, whether you would consider adopting a child with special needs, etc. It might be worthwhile to reach out now to adoption programs to find out how challenging it will be for a single mother to adopt. Mrs. Frugalwoods’ idea of contacting single parent adoption groups is a great one. The great thing about NYC is it’s so big there are surely going to be these kinds of resources available, which might not be the case in a smaller city or town. I was also going to say wait to buy until you have the child, as what your needs are will change if your family situation does, but it occurs to me that home ownership might be an important part of an adoption portfolio (prospective birth mothers may feel less comfortable placing their child with someone who is ‘only’ renting). I don’t know this one way or another, but it is certainly a question that should be asked. If home ownership will make adoption much easier, that changes the variables at play. If you have friends with kids, they can help you see what your priorities should be and ask the questions you might not think of (we love our house but we bought it pre-children and there are things about it that would have been major negatives had I known what I do now). Oh man I didn’t even consider that. I can totally see the possibility of home ownership making you look more stable. I do have friends with kids, so I will spend more time talking to them about these things. Thank you! While I live in the Midwest and have only made one New York trip, I do know that even here I find myself giving up a lot of entertainment (theater, museums, etc.) now that we have young children. I would continue to rent for now. If a child comes into the picture in a few years, you may find that the costs of NYC outweigh the benefits. Children also reach school age in the blink of an eye, so private school costs or being in a great public school district will be important to consider. While we do take our children to many museums, it is now a once every month or two event rather than a spontaneous night out, so being an hour or two away is not a big deal. Good schools, affordable childcare (close to family for us), affordable housing, and bigger cities / airport within 1-2 hours away has been a good fit for us. You make good points. I would definitely be open to living somewhere close by but out of nyc in the future. If I end up adopting on my own, that makes the possibility even stronger. Thank you for commenting! $330 on groceries for 1 person doesn’t sound high to me. She’s pescatarian and good vegetables are one of the most expensive food sources in the US. (and alternative protein sources are expensive too). Plus grocery prices in major cities have been increasing every year, so your Boston costs (from 2015 I think?) would be a bit higher today in 2018 grocery dollars. We spend about $600/month for 2 people on groceries in one of the most expensive cities in the country (behind NYC though). Not including alcohol, which it sounds like she doesn’t spend much if anything on. Optimizing grocery costs is one of the last things I would focus on because it might save her $50-100 but require major lifestyle or diet changes – and there are easier ways to save $50-100 or more. Ex, cut out the $55 Internet and just use cell phone data, go on a data budget and supplement with work wifi. That’s what we’ve done for the last 10 months and it saved some money with little lifestyle sacrifice. Also the $1080/year in gifts/charity – although I know that may be non-negotiable for some people. But at least examine whether it’s all well used and whether there are alternatives (donating your time, or non-material gifts). Donating time to charity is also a good way to meet people. I agree that her food costs seem very reasonable. A pescetarian diet can be quite healthy, but it’s not cheap. This is totally true. Buying in NYC is rarely a financially good decision. I think she should look into income-restricted housing. But…we don’t know her income, so she will have to investigate her eligibility. One little trim would be to switch to liability only car insurance, which should get you down to $50 per month. Everything else is amazing. There’s a really fun bluegrass scene in NYC, sometimes with really fun dances. I 100% agree that Lauren should get board certified in psychology. Her part-time job sounds amazing. If she had the opportunity to keep that job (at a university; great for her resumé) and work towards private practice or working at a new hospital, as she mentioned – perhaps teaching in the future also – she increases her marketability, future income increases, flexibility (for a child), job choices & location choices. Hi! I loved reading this! I live in NYC…with our two young boys and my husband. We own a condo in midtown that we bought 12 years ago. I will say from my experience that IF you are going to buy, buy a condo bc you can RENT IT OUT. It seems like you travel a lot and you have tons more leeway renting it out (we rent it out every summer with full knowledge of our building and their approval…we pay the bldg a fee and we have the right to do it so we do!). A condo is way more expensive than a coop but it will give you that flexibility. As for kids….if you do work and plan on childcare the first four years are EXPENSIVE. We went into debt both times dealing with preschool when they were 2.5 – 4.5 years old bc we didn’t want to have a nanny and thought that being in a little sweet group environment would be helpful and I needed the time to work! It will cost around 20 – 25k each year you are in a paid preschool from 9 – 3 M-F. BUT once they are four years old you can get into a great FREE preschool and the public school system is great!!!! So as far as expenses…plan on the first four years being super expensive. You might want to rent and save your money for those first four years and then buy in a school district that you love (District 2 is the best one with the most options!!!!) I have friends that fostered a baby and then got to adopt it and it was WAY cheaper…in fact I think they were paid to foster. There are so many needy kids right here in the US….I know adoption is so personal and everyone’s journey is different and Im no expert…but there is a way to become a parent to a child who needs a mom that is not super expensive. But you might need to have a separate bedroom if you adopt! This is why it might be best to rent bc buying a true two bedroom is well over a million dollars prob anywhere in Manhattan. We bought a large one bedroom and converted part of the living room into a second bedroom by adding a temporary wall….but I’m not sure if I was adopting that it would suffice. So you might want to check into those rules too….good luck and thanks for listening to my two cents! District 2 is not very diverse. “Good” is in the eye of the beholder. Some people really, really value diversity. Some value test scores. There are diverse neighborhoods in Manhattan with excellent schools and 2 bed apartments under a million. Look far and wide and find what fits with your values. Great work Lauren! I’m wondering about the fees in your 457, are they reasonable/on par with a brokerage? I know mine is, and I LOVE my 457, but many charge super unreasonable fees. If that’s the case, you may not want to max it out and may be better off paying the taxes and putting it into a brokerage account now. Or at least when you change jobs rolling it over. Of course you’d then lose out on the main benefit of a 457 and being able to easily withdraw from it at any age after separation from your employer. Also, I was going to mention adopting out of the foster system. I know it’s much cheaper where I live and there are lots of tax benefits. If you are willing to take on a slightly older child (than a baby), this would be a great option to give back and get to experience being a parent. I know it isn’t for everyone, and is something my husband and I are currently wrestling with. I was lucky in that the 457 does have reasonable fees through Vanguard. But that is a good point for those who don’t, as I have heard being the case often. Thanks for commenting! Great job paying down your debt and saving up as much as you have! Another point in reference to the buy vs. rent question: Manhatten rents are falling, and real estate prices are falling too (generally not good to buy if it’s the beginning of a longer downturn). Thank you so much, for all of the kind words! 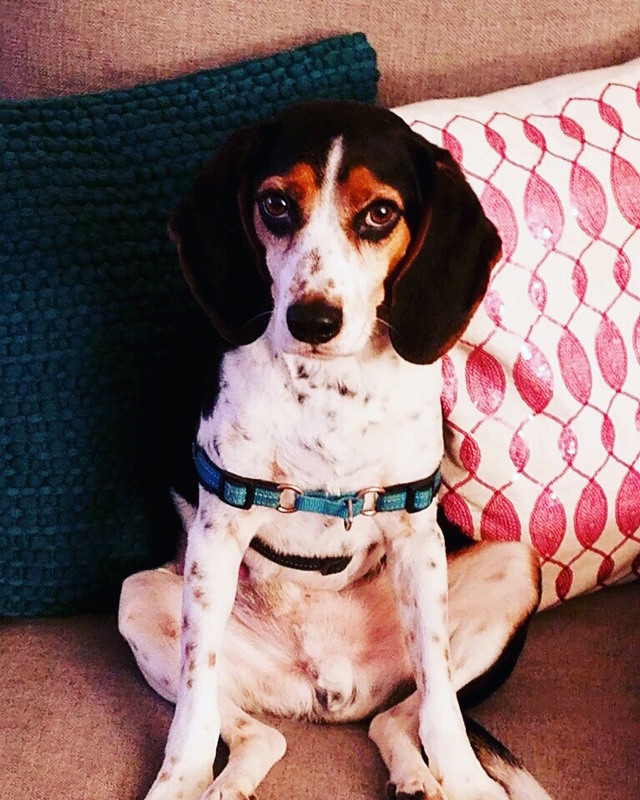 Especially about the pups, they are so much fun to have around! Hi Lauren, So much to say on this topic as it hits very close to home. I adopted my daughter as a single mom a year and a half ago at 41. Best decision ever. I started the process at 39 and did an international adoption through China. Start to end, the process took about 1.5 years and I spent in the $35-40K range. Not all countries allow single women to adopt or there may be restrictions on the types of child you can adopt. Many countries have a maximum age difference between the child and parent. The state department has a good summary of adoption requirements for different countries. I would echo the recommendation to wait on buying a place. I live very far from my family and have lived apart from them for many years. I find as a single parent, I am missing having that support. I have very affordable and reliable in home care which makes my situation very doable, but imagine it would be far more challenging if I had to work around the schedule of a daycare and pay a sitter to go see those discounted Broadway shows. All mothers are different, but for me, I find that because I work full time and have had lots of travel and eating out and cultural experiences prior to becoming a mother, those things all became much lower priorities. You may find that spending more time with your child takes precedence to the things you love as a single and may find the premium you pay to live in NYC no longer holds its value. You have a lot of moving targets right now and by staying in cash, you are giving yourself the freedom and flexibility to change your mind as needed. Keep doing all those awesome things you love in NYC and sock away money. Give yourself as many choices and as much flexibility as you can right now until the future becomes more clear for you. Thank you for the practical and encouraging comment. Moving targets is a great way to describe my life, and I do think adding a mortgage would be more trouble than it is worth. For cheap haircuts in NYC I love this place: https://www.yelp.com/biz/hollywood-salon-new-york. They do $25 haircuts and also do $25 blowouts (though blowouts are not a very frugal expense)- you would never guess that this place is great just walking by, but I got my hair cut by Anastasia and was super happy with it. I was so tired of paying $80 for haircuts so I’m very happy that I found a good alternative! I’m going there for my next cut, thanks! 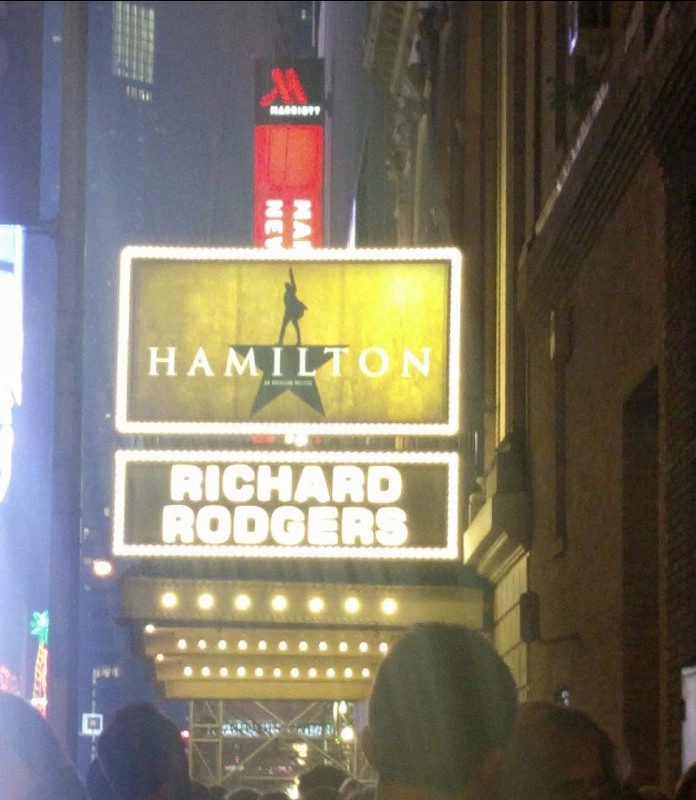 Ushering at off-Broadway shows is fun and easy and a great way to meet others. I met one of my good male friends who was a performer (we briefly dated, but stayed friends) when a friend & I ushered and we’re still in touch. Just call the theatres and ask if they use volunteers. Typically you get there an hour before the show, they explain the layout of the theatre and then you give out programs & show people to their seats. You then sit & watch the show & collect programs after. I lived in NYC in my 30s & saw lots of great shows that way. There’s also Gold Star & the TDF, if you haven’t already joined https://www.tdf.org/nyc/66/TDF-Membership-Requirements, and organizations that help fill seats ( I don’t know which ones those are, but you could research). I used to get hair services from extremely high-end salons– Bruno Dessange was one. I just called salons up & asked if they had teaching events where they needed models. You are in one of the greatest thrift-shopping cities in the world and should be able to get fantastic clothes very cheaply! I think finding a pescatarian meet-up is a great idea. In my experience, vegetarians are usually quite committed to avoiding animal flesh , mostly for ethical reasons, and you’d probably find more like-minded people at a meet up where fish is acceptable. I’m a long-time vegetarian and I would have felt a degree of dishonesty involved if I went to a vegetarian meet-up only to find fish-eaters at the event. I say that not to disparage your choice, but to convey how the disparity between you and a vegetarian might be viewed. I hope you meet a great person! Hi – I am a physician around your age, also in NYC, somewhat new to personal finance but doing real well since I found this blog! If you ever want to link up and talk just shoot me an email. Sure! What email should I use? Thank you for the fresh perspective! It is a hard balance of wanting to better my life as a single person, which I love in many ways, but also not necessarily wanting to be single forever. I am still figuring things out, and am inspired by your feedback! She also has a “baby proof” series that is fun to peruse. It would be really helpful if you included Lauren’s net income as there are many New York City affordable housing initiatives, both rental and ownership, for (presumably) middle income people such as she. I would STRONGLY recommend that she look into these and consider adjusting her part-time work to meet the income restrictions (they often exceed six figures). There are many initiatives in Yorkville/UES, also. Obviously this is a personal decision, but I would also recommend that she consider egg freezing or proceeding with donor insemination in the next year or two. It’s very hard to adopt newborns domestically and internationally and the process for older children can be quite long and expensive, too (think tens of thousands). Most of the reputable agencies in NYC have virtually ended their newborn adoption programs. Fertility treatments are often covered by insurance in NYS and DI is not very expensive. Until then, enjoy Glaser’s last few months! Sorry, I meant gross income! Just curious what type of work you do for your part-time evaluations? I am also a psychologist and am self-employed doing mostly evals. I have two small children and it has been a very flexible way to earn income while being home with littles. Perhaps there is a way to expand your work and also do some private practice evaluations, which may be more lucrative? I do forensic evaluations for another state. I have been considering thinking about private practice in the next few years, but right now am overwhelmed at the idea. If you have any tips or resources that were especially helpful I would love to know more. Thank you for commenting! Lauren–Great job! You are rockin’ it! Being out of debt and now putting so much $$ toward retirement and other goals is fantastic! But retirement is also an area you might want to revisit? Is it possible you’re putting TOO much toward retirement? I can’t tell what your gross earnings are, but what percentage of your gross income are you putting toward retirement? (Your monthly amounts toward retirement total a whopping $2,399/month). That’s a lot! For how many years were you unable to put money into retirement? And for how long have you been contributing this hefty amount? Even if you’re “making up” for lost years, I’m not sure any money expert would suggest putting more than 20 or 25% of your gross toward retirement, in total. If your % toward retirement is super high, maybe you could consider keeping your contributions that high for just a couple of years, then dialing back your % and putting that money toward one of your other more immediate goals? If you don’t need the upfront cash later, for some reason, you can always go back to putting more toward retirement. I should add that grocery prices have skyrocketed in NYC in the past five years, and they are far higher than Boston. Lauren could presumably shop on her OOT gig and bring back cheaper food. Otherwise, try Western Beef, anywhere in Chinatown, or Associated. Foster to adopt (adoption a child through foster care) – is free – but the goal of DCF is to reunite the child with their biological relatives, so there definitely is risk. There are grants available through specific agencies based on income. Hi Lauren – I’m a psychologist in NYC and I think your income has a ton of room to grow by switching industries or augmenting with private practice. My colleagues in full-time practice are easily pulling in twice your salary. Notably I am at a hospital (not a state hospital) and many of my female colleagues went to private practice after they had kids because you can make a livable income by working fewer hours as well as more flexibly (for example, seeing patients 4 days/week or going to a 3-day week in the summer). I have two colleagues who work at city hospitals and double their income by seeing patients 3 evenings a week (let’s say a 4:15, 5, and 5:45 and you can be home by 7, or even better practice near home). Overhead is relatively low – you can often split an office with another person doing part-time practice, then you just need some protected (electronic, most likely) place to keep patient information, and you’re in business. There are several psych listservs in NYC for referrals as well as peer supervision groups. If you have any kind of specialty (I’m assuming you do given your hospital background) there is a high demand in general for psychotherapy in NYC. I don’t think getting board certified (I assume your ABPP) in Psychology is a bad thing, but from where I sit (I hire psychologists nationally for my team) it’s not a make or break in terms of your income or job prospects. I would not invest a lot into that unless it was for different reasons. Private practice is definitely something I need to give more thought to. The board certification would be more for personal fulfillment, as it serves little purpose at my current job. However, with the type of evals I do (forensic), it might bring more credibility. Apologies if this point has been addressed, I had to skim-read comments. The only concern that leaps out at me is that Lauren wants some things that may not be mutually compatible. Adopting a child, even as a single mother, is perfectly fine but if you’re working 2 jobs that require travel and want to continue traveling, you may not be able to balance it all. When my son was young, my mommy friends and I agreed that if there were 2 adults in the house, 60 hours/week combined (40 + 20, 30 + 30, 60 + 0, etc.) was the max that parents could work and still function as good parents. I would imagine for one parent, 30-40 working hours are probably the max one can do and still have enough time/energy/sanity to parent well. Also, would you live in an area that has good schools, or would you live somewhere that’s less expensive but requires paying private school tuition to ensure a decent education? (The latter happened to my sister.) My suggestion would be to write down all your desires and then match and prioritize them. For a month, every time you think you’d like a particular life goal (to travel, to adopt, to buy a condo, to get in a relationship, etc. ), write it on a piece of paper and toss it in a box. At the end of the month, look through the notes. Which ones come up again and again, which ones only once or twice? The frequent ones are probably the ones best focused on. Good luck! Recently, facing a financial crush, I cut out my charitable giving. It was something I upped significantly on one particular election night, but I had to cut it to meet my goals. It was hard and felt awful. But now I see it was of course right. Take care of yourself first. Also, if I were in NYC, I’d sell the car, pronto. My time there had me paying rent on what felt like a studio apartment in order to park my car. I’m close to bagging my car in Baltimore, a much less pedestrian friendly place. No gas, maintenance, or car insurance, occasional urbers and zip cars, but more walking, walking. You should definitely consider becoming a parent without a significant other. But, and I don’t mean to be a downer, do start the work now. It takes a lot of money — but it takes even more time. This is true of becoming a parent with a partner and that partner’s, ehem, resources. After a certain age — and this is a young certain age — it also takes money, but even more: time. Time to get pregnant/adopt — time to recover from a lost pregnancy/adoption. Lauren, I think you are doing great!! I don’t if you have any interest in politics, or issues, but it is a great way to meet people! I met my late husband while volunteering on a political campaign. I met my current husband at a demonstration. I don’t know much about real estate in NY, but your apartment seems really reasonable. I would stay fixed for now, but possibly move when a child enters the picture. One thing, if you do have a larger apartment, you might be able to have an au pair for child care. This might be more affordable as child care in NY seems really expensive. You can even have a foreign language speaker who can speak to your child in the native language. That is a really good point about when the dogs get older. I am very sorry you lost yours to cancer. I had a dog for 15 years, and spent around $4000 in the last 4 days of her life trying to save her. At that time, I was in no position to do so (heavily in debt), but family is family. If anything like that happens again it would be great to have more of a financial cushion so I don’t have to consider finances in a time of heartbreak. Again, my condolences about your beloved pups, and thank you for commenting. You seem to be doing so well in an expensive city! I’m a musician, and while I can’t speak to the majority of your questions I do have a few ideas for arts events where you could do more socializing. Many orchestras/Ballet/Opera companies have young professional subscriptions which often involve a social aspect before or after concerts. Not sure about NYC groups, but I’m sure it exists there! Also, you could try Group Muse, which is a platform that connects hosts, audiences, and musicians to put together house concerts. I have done this from the musician side and it’s very fun! You might also see what music performances are happening at smaller, more indie venues, many classical musicians are now doing more performing in lofts, bars, clubs, etc where it would be easier to also mingle and chat with other audience members. Again, I’m not in NYC so I don’t know all the places/organizations, but I see my musician friends play sometimes at Le Poisson Rouge, so that might be worth investigating! It’s so wonderful to hear that you are so interested and invested in the arts! Great work, Lauren! Congrats on your financial achievements thus far and kudos to you for identifying and really naming what you want/-including a partner and child. Just to add to the chorus of folks wary on housing, I’d suggest you keep your options open and not buy. I’ve been astounded at the way parenting has impacted my decision-making on where/how to live, so I’d stay put. And FWIW, with the right set-up, a studio could totally work with a little. Lauren, being in a place pretty far removed from the realities of New York City, all I will add is good luck; it looks like you’re off to a great start and I appreciate your frugal mindset! If you end up finding a partner who shares your frugal values, let me know how it happened, because this is my current struggle. I have been joking about starting at app called FrugalDate, where one of the stats will be your savings rate percentage, will have a FIRE: yes/no question and will have a FI badge for those who have reached independence. And if someone wants to beat me to the punch, I will happily become a member! Awesome! I had a similar idea, or maybe even starting one (around here, I would probably have to start one). Every once in a while I meet someone who shares the frugal/FIRE mindset, but it’s rare and almost never in a dating context. Well, if I ever get this app off the ground, I will work with Ms. FW to announce it here! Lauren, I wish you well and that all of your dreams come true. I have a friend who did not have the finances to adopt but she did use artificial insemination through an anonymous donor to have first one and then a second child. She is delighted with the outcome (some 15 years later) and has never once regretted it. Keep in mind that this is anecdotal evidence and that her income was less than your income. She also had some family members in her area. Of course you might plan to adopt an older child and not want an infant. I understand that you don’t want to leave NYC, but there are some less costly areas that might be a consideration–other big cities with vibrant art scenes. Kudos Lauren, for being in such a good place financially and getting out of debt. I would echo Mrs. Frugalwoods’ thoughts on childcare. We have two children in daycare in the Washington, DC area and even with a benefit from my husband’s employer that pays a generous portion of childcare, the cost eats up a tremendous portion of our income and is like having a second mortgage. Where we live, public school is not available until kindergarten so our day care cost is for each child for a full 5 years; nearly six years if the child misses the age cutoff to enter kindergarten (ie a late fall birthday). Also, consider that a nanny will also need vacation time and health insurance, which is an added cost. Very best of luck to you! Hi, I wanted to chime in regarding adoption. Two of my sisters did adopt here in Texas, each used a different company, and both waited approximately three years to get an infant child. One sister did have two birth mothers pick her and then back out after the child was born. The other had various ups and downs during the process, I think it can be emotional to have such a long wait. They each paid approximately $25,000, so that may be a good financial goal to have if you are looking to adopt domestically. Your dogs are absolutely adorable!!! Lauren!!! It always amazes me when people have dogs (especially larger ones) in NYC! I guess your location makes it easy for you to go to central park. With the rent you are paying right now (which is way below market), I think you are in a good position to buy you more time to figure the unknowns. Good luck and perhaps I can come pet your dogs one day haha. Have you considered going over the water to the other side to NJ? We have a nice view of NYC from (Weehawken, West NY, Union City, North Bergen, etc). It is way more affordable and its only a 30 minute ride in and really easy commute. You could also probably easily buy something with parking, or even rent a lot more space with amenities for a lot less. There is an art scene forming over here too and its super dog friendly. I agree that if you want children whether via the artificial insemination (that to me is the most affordable idea) or via adoptions (fostering to adopt is definitely more affordable). I have a 2 year old and am almost 41 and I’m exhausted. I work full time and so does my husband and we are tired. Kids require a lot of energy, so I highly recommend you get that process started now and have them as young as you possibly can. And yes agreed with one of the other commentors, unless you have a village to help you with the kids, you may want to consider eliminating the job with all the travel. As it is daycares (also way cheaper in NJ than NY), only operate from like 7am-6/6:30P M-F. There are also many holidays that they are closed. If you child gets sick, you need to be able to take off and be with them (daycare won’t take them). If you have a nanny, there will be days she wont be able to make it, etc. My suggestion is 1. Stay close to NY but save more in a more affordable area near it. 2. Work on lining up your work so that it is more mommy friendly (less travel) while investigating how you will obtain the child (adoption, forster, etc). 3. Line up the child care, and child care contigency plans (for when daycare is closed or nanny calls out), weekend plans etc. 4. The husband/Partner, I feel will fall into place as “life is what happens, when you are busy making other plans”. Hi, just wondering if you have renters insurance? It is not very expensive and could save several thousands in replacing clothing, jewelry, furniture and money for being displaced from your apt. I also agree with fostering. Raising a child alone would be difficult. I was single when my child was 3 and not remarried until she was 5. It was hard and I had my mom and dad nearby. Also purchasing a home could be a real challenge to get rid of if you develop a seriou relationship with someone who lives in a different city or state. Mrs F, as always gives great advice. Good luck to you. I’m really glad Jean brought up renter’s insurance. I meant to advise that Lauren get it and I forgot! So, thank you Jean! And, Lauren, I think it would be wise to get renter’s insurance. It’s often quite inexpensive and I think worth it. Thank you Jean and Mrs. Frugalwoods. Getting renter’s insurance is something I know I should do and yet have procrastinated and gambled on, so being reminded again is very valuable. Thank you!! It sounds like you are organized financially and also know what you want. From my experience reading about adoptions sometimes these things can take up to 4 years and that’s with interviews, home visits etc. I agree to talk to other single parents in NYC who have been down this path. I’m sure there would be specific FB groups on this. Also if you did adopt and worked full time I would look at having a live in au pair because you provide a bed and food and they can stay home and look after the child. I just remembered you may only have a one bedroom apartment. If this was the case and it was just you and the baby and the live in au pair that you would pay a small amount of money to each week this could be the equivalent to 1-2 days of childcare vs 5 days which ends up being $3000 per month. Child care usually costs more than peoples rent/mortgages. You could always put a day bed/fold out couch in the lounge for yourself or the au pair…any young adult wanting to experience living in NYC it’s a great way to have a year there. I would not jump into getting a 2 bedroom apartment. You can make do particularly if the rent is cheap and you know your surroundings with free street parking etc. I have been reading a blog for years called “Reading my tea leaves” by Erin Boyle she is also on Instagram. She lived in an apartment in NYC with no bedrooms even after they had their first baby and has heaps of inspiration and posts on living simply and small and making use of the tiny apartment. They now have 2 babies and did move but not to a big place….there is heaps of inspiration on her blog about having a small apartment. Honestly you don’t need heaps of space for a baby in the first 2 years of it’s life anyway. I got married at 38 and had my first baby at 40 and 2nd at 42 although I was very lucky I had no fertility issues. I would also recommend you go and get a blood test on day 21 of your cycle to test your hormones to know where you are at if you did meet someone and wanted to have a baby straight away. Maybe you might need to look at freezing your eggs for a later date. I wish you all the best. I will check all of this out. I have also been curious to know if I can even have a baby if I wanted. I am so happy that you found love and had your babies with no issues. This was a very inspiring comment for me, thank you! Hello Lauren! Congratulations on setting yourself up well with your finances! Your lack of debt combined with your very healthy savings rate means you have a lot of flexibility at this point. I agree with many other commenters regarding now likely not being an ideal time to buy housing, simply due to the uncertainty of your current life situation. And I echo Mrs. FW’s comments regarding the cost of childcare if you do end up adopting. Definitely something you’ll want to consider and budget for if you don’t have family or good friends in the area that you would entrust to help out. Your budget looks really, really good for someone living in NYC. After housing, you’re only spending $26,088/year. I think that’s fantastic, given your location. Your overall spending looks like it’s fairly well-structured in support of your lifestyle goals. There are some discretionary spending line items in there (relatively high groceries, pets, entertainment), but these all align with your stated values and interests and wouldn’t be good candidates to cut. The only budget line item that I see potential savings in aside from those you’re planning to phase out anyway (shopping / clothes, for example) would be the $55 laundry item. At that rate a top-of-the line $1,200 washer and dryer set with a 5-7 year warranty would pay for itself in 2 years, give or take. Is installing your own set in your unit an option, or are you restricted to only using the communal laundry? I think at this point the majority of savings available to you will be from tax optimization rather than expense reduction. While you didn’t share your gross income, by my calculations you’re in either the new 22% ($38,701 – $82,500) or 24% ($82,501 – $157,500) Federal income tax brackets for single individuals. Since you have goals to get married, raise children, and achieve early financial independence, your taxes in future stand a good chance of being lower than they are today, particularly if you marry and opt to become a single income household. Future taxes in relation to current taxes is the primary criteria in determining whether to contribute to a pre-tax or Roth retirement account. I think given your circumstances you are better off to re-assign your Roth IRA contributions to a pre-tax IRA instead. Doing so likely has the potential to save you $1,210 – $1,320 per year currently in Federal income tax based on maxing it out yearly at $5,500 and my assumption that you are in either the new 22% or 24% income tax brackets. Similarly, I would recommend that you increase your $2,592 annual HSA contributions to the Federal max of $3,450. You didn’t state what your health insurance deductible or out-of-pocket maximums are, but this will help beef up your slightly-skinny current emergency fund against medical expenses while saving you money on taxes. Using the same calculations as in the IRA example above, you could save $188.76 – $205.92 annually in Federal income tax by contributing another $858 per year to max out your HSA. This doesn’t include the 7.65% FICA tax savings (SS – 6.2%, Medicare – 1.45%), another $65.64/year in tax savings. Medical expenses are a given and it pays to be prepared, particularly if children are in your future. HSA accounts can also be used to save for retirement, if your balance is not used for medical expenses. Your stated income after all deductions and retirement contributions is listed as $77,160, but your expenses total only $50,688. This leaves $26,472 of disposable income unaccounted for. You could continue contributing this towards your taxable investment accounts, but there’s another option also available to you if you wanted to super-charge your retirement savings. The strategy is known as the Mega Back-Door Roth, and it was made popular by the Mad Fientist. The strategy makes use of a little-known fact that total 401K / 457 account contributions per person are actually $55,000 for 2018, despite the personal contribution limit standing at $18,500. Subtract the $18,500 you contribute on a pre-tax basis annually and any employer match from that $55,000 figure and the balance you can use to make as an after-tax contribution. This balance can then be transferred to a Roth IRA, enabling the earnings to grow tax-free. You can read more about the strategy at the below link. Since significant changes in your immediate future are possible, my recommendation would be for you delay the rent-vs.-buy decision and simply optimize your current tax situation while focusing on pursuing your goals of finding a partner. I recommend you consider re-assigning your Roth IRA contributions to a pre-tax IRA instead, max out your HSA, and consider making after-tax contributions with the balance of your disposable income to your 457 in support of the Mega Backdoor Roth strategy. This will supercharge your retirement savings while you’re in this “holding pattern”, and allow you to re-evaluate your options in several years. Alternatively, you could simply continue investing the balance of your income as you are in taxable investment accounts rather than as after-tax contributions to your 401K, as this gives you slightly more flexibility at the cost of long-term tax advantages. Ultimately, you’re doing almost everything right and there’s little obvious room for optimization in your situation. Best wishes! I, too, was going to suggest Lauren max out her HSA and go to a traditional IRA given those are better tax savings vehicles than post-tax investments! Yours is a much more thorough explanation! This is REALLY minor, but do you wash any of your clothes by hand? Given your building has free water, this is easy extra 1-5 minutes while you’re already in the shower. Even wool can be done in the shower so long as the water is only lukewarm and you don’t agitate the material too much (heat and friction are what make wool shrink). Wool can usually just be hung in the steamy bathroom to deodorize, and is supposed to be washed infrequently (suits are recommended for 2x per year). Ugh, paying so much for laundry makes me grumpy every month! In Queens it was only half as much. I will double check, but I don’t think installing my own is an option. I know for sure there are no washer dryer hookups, and am not sure where it would go. Your post is chock full of valuable information, so I am going to take some time to educate myself on the concepts you presented. I really appreciate you taking the time to comment and share this information!! If you know for certain there are no washer / dryer hookups, your own laundry is probably out of the question. But that’s small potatoes, your budget is in good shape regardless. If you happen to have any additional questions about any of my other recommendations for tax optimization, don’t hesitate to ask them either by commenting here or by contacting me through my website form. I wish you the best on your future! 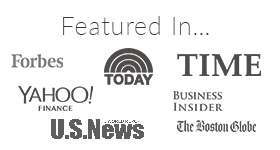 Love the list of case studies that have updates – thanks for putting that together! The most important thing that you need to do is get into private practice ASAP. I am not sure what the legalities are behind doing so, but I know there are *a lot* of psychologists and psychiatrists in NYC that practice and *do not take insurance*. This is the important part. Dealing with insurance is one of the most time consuming things for medical practitioners, and a lot of them in NYC simply “opt out” of insurance altogether, and just take cash. The burden is then on the patient to either a) pay for the care out of their own pocket, or b) deal with receiving reimbursement from their insurance company via out-of-network benefits. A psychologist that I know in Queens charges $200 for a 45 minute session, and does not take insurance or credit cards… you can do the math to see how vastly underpaid you are, even after accounting for office space and overhead. Best of luck in growing your practice and your income. P.S. Dating in NYC is awful. Good luck with that too. It’s a struggle. Wow, I did not realize people were charging that much! It seems like that is a venue I need to put more thought into. Thank you! Lauren, congrats on being so frugal already, you are doing a lot of stuff right! I agree with all of Mrs. Frugalwoods’ advice. I concur with the ushering/volunteering option as a way to attend theater/arts events for free. A lot of theater/arts orgs and nonprofits need volunteers and this can be a way to hobnob with artists and see free shows. (also a way to meet other singles—a lot of arts volunteers are smart professional men/women, they tend to be more behind the scenes than in the regular audience; also, arts volunteers often are more stable financially. I used to work in arts admin/fundraising, that is how I know this). You definitely should look for ways to earn more $$ in a high-cost place like NYC. Private practice as a clinical psychologist would be a great way to do that and would also potentially be very flexible. Invest time and/or $$ in getting your board certification so you can hang out your own practice shingle. You could also likely still retain some hospital-based work to diversify your income. If you remain in NYC, I would strongly advise considering giving up your car. As you point out, rents in NYC are rising and at some point, the high cost of rent may outweigh any car-related commute time savings. Alternatively, if you moved to a cheaper outer borough, that might mean your car would still make sense to keep. In any case, keep up the hard work! You are doing better than most! Wow. I am brand new to this site. Love all the suggestions / info. I met my husband on Match.com. I think with any dating service you have to weed out some weirdos. Trust me, there are ALOT of men out there (hint, hint: that doctor Danny above?) Max out your retirement. Maybe move to NJ, since the prices are so much better. Consider a sperm donor. Keep up the great work. A quick comment about HSAs: The HSA is the ONLY account that offers a three-way tax advantage: no tax going in, no tax on earnings, and no tax going out. And with estimated post-retirement healthcare expenses at $200,000 or higher, considering her HSA as part of her retirement savings should be a consideration for Lauren. She could even consider paying out of pocket for her lasik surgery and allowing her (invested, I hope!) HSA balance to continue growing. Oh wow, I didn’t even know you could do that! I thought it was a “use it or lose it” situation by the way I heard people talk about it. This is the first year I’ve been eligible for one, so your post inspires me to learn more of the specifics. Thank you. For hair, look for salons (usually fairly high-end) that use hair models. It takes a bit longer to get your hair cut and/or colored because the salon owner or senior stylist has to check the person’s work and sometimes only a specific cut is offered, but it’s typically free. Is there an Aldi in NY?? That is news to me! Yes, I live close to the one in East Harlem. There is one in Rego Park and Brooklyn, as well. I live for that place! the right guy. The picture of the dish you prepared looked like something out of a magazine…maybe you should teach the class! Aww, thank you! 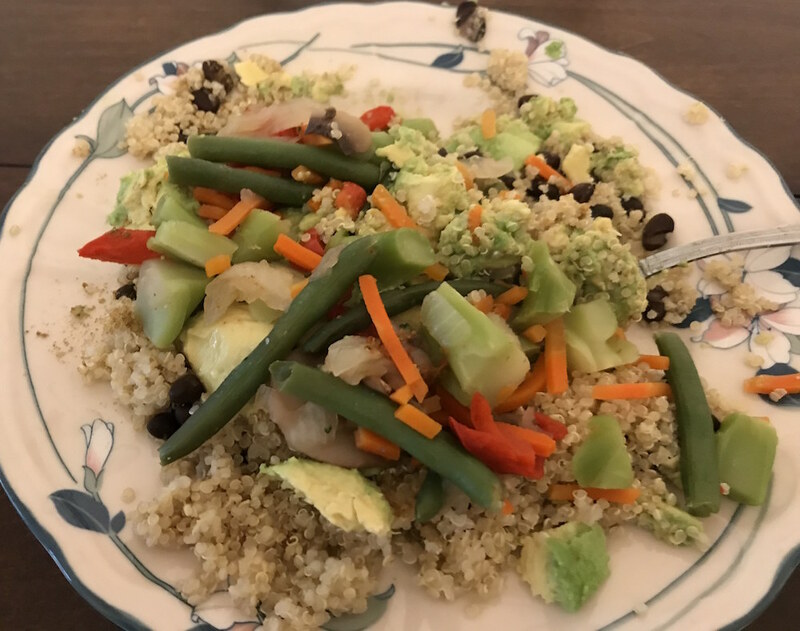 Simple is the name of the game for me, most of the time I just use quinoa as a base and add a bunch of veggies, beans, cumin, and lime. A cooking class would be a fun way to expand and meet people. Thank you! Lauren – since NYC rents are never doing down, only going up, even when one has a ‘deal’ – those only last for so long. Here’s an apt purchase idea for you, since it sounds like your income has potential to grow, as stated by previous commenters above who are in the same industry as you, or if things go according to the hypothetical plan and you meet someone to merge incomes with, I would suggest searching on Zillow, Redfin, etc., and keeping an eye out for the “HDFC” apartments for sale – those have income restrictions, and I’ve seen the target income ranges vary, depending on the place. They’re usually below market value. Here is one as an example I found by quickly scanning Redfin on the UWS of Manhattan: https://www.redfin.com/NY/New-York/492-Amsterdam-Ave-10024/home/145278462 the listing description states: “This is a Housing Development Fund Coop and must be your primary residence. Income restriction:80,160 for a family of 1$91,680 for a family of 2”. What they look at is I believe last 2 year’s taxes for the income qualifications. I’ve only realized these gems exist after I got married and our joint income put us out of the price-range to qualify, my husband and I joke that we should split up for 2 tax seasons in order to qualify again! Best of luck, happy spring, and I look forward to read your follow-up on your case study in the near future! Interesting … with those credentials you may want to look into the life of an international school teacher / school counselor … particularly in Asia or the Middle East … similar pay with more adventure …. This may be a radical suggestion, but you can consider moving to Chicago – you will get the same cultural amenities that you love and your money will go a lot further. You might even be able to rent a 2 bedroom apartment in some neighborhoods, but certainly a very nice 1 bedroom in a fantastic area. As a Chicagoan, I have many friends who have moved from NY and said that they feel like they get the cosmopolitan nature of a big city in a more livable environment where your money goes further. Good luck! I love Chicago! But at this point I have a community and friends in this area and after much moving around for school and training, don’t have the stamina to start somewhere I don’t know anyone or have any support. I would consider places nearby here though. It sounds like you are doing great and I probably don’t have much advice for the financial side of things. But similar to you, I was in the dating world and I just wasn’t finding the right person. I knew my priority was to be a mom one day. I briefly looked into adoption but was turned off with the cost and the uncertainty of it all. I picked a certain age and decided that if I were not in a committed relationship by then, then I would become a mom on my own. It took some pressure off me for dating, knowing I had a back up plan. I now have a 4.5 month old little girl and I couldn’t be happier. I used sperm donor and really had a good experience with it all. I really can’t say that I’m doing it on my own because I have a very supportive family. I plan on jumping into the dating world in another few months or so. I guess if I could do anything different it would be to decrease my monthly debt and save more. I ended my maternity leave 2 weeks earlier than I wanted because it was unpaid. I also am hoping to cut down to 4 days a week, if I can decrease of some of my monthly debt( car loan/student loan). I hope everything works out for you. It sounds like you are off to a great start. Also, my pup loves being a big sister, I bet yours would too! That is exactly what I am planning to do (pick an age). Stay tuned for the case study update, and thanks for commenting! Hi Lauren! I lived and worked in NYC for a bit before moving to VT, so I hope some of these pointers can help you. 4. Travel. Try to rent out your home when you travel if you can. I know NYC is weird about airbnb, but maybe there is a loophole. And make sure you have a travel credit card. I love jetblue, but that’s mostly because I used to travel from NYC to BTV often, and they are partners with Hawaiian airlines, so I could travel to Australia for free using points. 5. Work. Find a work from home job. I used flex jobs to find mine, and I love it! I work ~20 hours a week whenever I want. If you found a full-time position this allows for location independence, so If you got married and your spouse wanted to move to California, you could do that. Or if you had a child and wanted to move closer to your family, you could do that. Or you want to walk more dogs through rover on your lunch break, you could do that! 6. Meeting people/future spouse. I met my spouse in college so I might not be super helpful here, but I did meet a lot of people at crossfit. If that’s not your thing, I recommend joining some sort of club/gym. I joined zogsports as well. 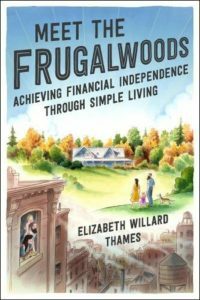 I don’t have any financial advice for you, but Mrs. Frugalwoods mentioned the Mr. Money Mustache forum for finding frugal meet-ups. There are definitely great meet-ups organized through the forum. There is also a Mustachian and Single section of the forum. I don’t know how many people actually find romance there, but it’s worth a try! Interesting, I will check that out. Thank you! Your laundry cost seems really high to me! I’m assuming you’re doing drop off service and dry cleaning? I spend about..I don’t know $10 a month a laundry? And I even air dry half of my clothes so I only use one dryer. I live in Brooklyn though so my laundry machines are probably cheaper. You are right, it is really high. And sadly, that is using the machines in my building. Local laundromats are no better. It was half this cost in Queens. I’ll add to the already long list of advice. First, I’ll echo previous suggestions about dropping monthly Internet…personally, I use free wifi at a local public library. Another option would be to share wifi with a neighbor, with each of you paying half. Internet companies prohibit it, but who’s to know? But keep your existing connection if you do lots of online financial management, because you want more secure Internet access for that. OTOH, if you don’t do a lot of online money mgmt, then a cell phone data plan, as mentioned above, might be all you need. Second, I’m risk-averse, so I’d beef up your emergency fund (next year) by using the money you won’t be spending next year for Lasik — i.e., continue saving the same amount, but put it into your emergency fund until you get closer to 6 months expenses. After that, invest it. Third, the $1800 in your 401(k) is a lame duck account — more paperwork than it’s worth. Can you roll it into another existing retirement fund, and do so without incurring fees? I also wonder if you are getting charged (or someday will) for keeping that account, since Vanguard charges a nominal annual fee for some accounts that are below a minimum balance (often $10k). Even a $20 annual fee would be a bit hit on such a small balance. Fourth, to partially offset your market risk of renting while watching real estate prices rise, maybe put some of your housing savings account into a real estate investment trust (REIT). That way, the value of your investment should at least partially match fluctuations in real estate prices, lessening your risk of renting. Meanwhile, it might also give you a better rate of return than where that money is now. Also, a couple of reminders: 1) you can, if needed, pull money out of some types of retirement accounts to use for buying a first home without incurring penalties, and 2) if you pull money out of the wrong type of retirement account, or even just use those accounts as collateral to buy a home without withdrawing anything, you can get hit with huge penalties. In either case, investigate the situation thoroughly before you put your retirement money in play (the fees can be draconian if you mess up), but know that it might be an option. Sixth, with your busy work & travel schedule, I echo above concerns about whether you would be right for foster care. However, another option might be private adoption, which often avoids fees entirely. Foreign adoption might also be an option, especially with the many refugee problems around the globe, though these often come with high fees, too. Seventh, once your emergency fund is as high as you feel is needed, and after you’ve maxed out your retirement savings options, I’d suggest putting some of your excess into a few growth stocks or a growth stock mutual fund. By emphasizing growth over dividends, you avoid income taxes until you sell, and you benefit from lower capital gains tax rates when you do sell. This money can then be used either for buying real estate or keeping til retirement, in either case without high withdrawal fees. Yes, there is more market risk, but you already have $22k in a low-risk, low-return account so you can maybe afford to take a bit of risk with future savings for a home, especially if you can withdraw from any of your existing retirement accounts to buy real estate if you need to. Keep in mind that any guy you might want to marry should also be fiscally responsible (and so should have a solid savings situation, too) and might already own a place, so you can perhaps consider a longer-term investment time horizon going forward. Thank you for your thoughtful reply. Re the small 401k, unfortunately I am stuck with this until I quit my part-time job. I can’t close it while employed there, and I can’t contribute while part-time. Womp womp. Your post contains a wealth of information I need to look into, and I appreciate it! I’m also late to comment, but I’ve read a good chunk of the comments and no one has mentioned something that I think is extremely important, especially for a single woman–government job benefits (municipal/town, state, and federal) are really awesome. I see that you have a pension from your part-time job. Those are pretty rare these days! Make sure that you are vested before thinking of leaving (for my town job we are vested after 10 years). Private practice or other non-government jobs might pay better, but the health insurance, retirement offerings, and other benefits are often horrendous or non-existent. Just be sure to carefully compare everything when looking at a new job. It is often really difficult to compare because it’s not really apples and oranges–a 401k match from an employer is nice, but it is still dependent on the market and you spend down the money in that account, whereas a pension is a guaranteed amount of money depending on your salary at the time of retirement for the rest of your life. The health insurance comparison is really tricky too, but especially if you are going to be a single mom it’s important to have great healthcare for you and your kid! And no, these jobs might not be as flexible (although I think they can be if you’ve worked there long enough) or pay as much, but the benefits often more than make up for that. Definitely ask lots of questions of your HR people (and potential HR people if a new job offer is on the table) and attend any information sessions that HR offers. I go to them every year and every year I learn about some awesome new option–reimbursement for gym classes, a childcare savings account (like a health savings account, tax-free! ), discount fitness tracking devices, etc.–I recommend this for everyone, even if you don’t think your company has great benefits. There’s a good chance you’re missing out on something that could be really helpful. Yes, I work for the gov. now and the benefits are amazing. I believe these are available even to part-time employees, so it would be ideal to stay part-time one day and do private practice on the side. Thank you for commenting! It sounds like you work for the state. I retired from state service. I figure my pension is worth my pension divided by .04 a la the 4% rule. I got two percent after 20 years for each year of service. Also I got healthcare for life at a premium that is ten percent of the cost. Together these are very important to me and a good foundation for any plan. Also, a lot of people buy real estate and put a lot of their net worth into it yielding whatever the real estate market yields. I have a mortgage and invest the money at a higher rate even though I could pay off the mortgage. I did that once, then got another mortgage. My return on real estate is higher because I have less of my money in it. In NYC chances are that your RE investment will crowd out your other investments being that RE is so high in NYC. Something to think about. Good luck! Hi Lauren! Great work so far! I just wanted to say that you should look into RedPocket Mobile to see if it’s available in your area and cheaper than your current provider (which is already not badly priced) for the amount of data/voice/messaging you use. I used to use Ting (which is even cheaper than Cricket in some cases), and finally switched to RedPocket. At Ting, I paid about $20/month, but I have even more voicetime/data/messages with RedPocket and it’s only costing me about $10.50/month. The service has been fine so far, and I’ve been happy with it! RedPocket also works with GSM and CDMA phones (though check that your specific phone is supported), and you can keep your existing number. Thank you for taking the case of someone who could be me or my female friends. How refreshingly relatable. Major kudos to Lauren, who seems to be doing everything — and I mean everything — within her power to live her most authentic, financially independent life. Good luck, Lauren!